These 2 in. 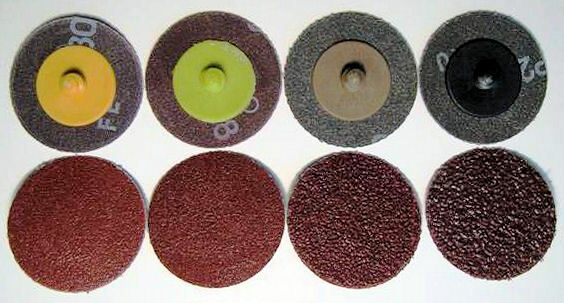 discs are probably the easiest and fastest way to remove rust, paint or to grind out hard to reach places. There is a nylon screw on the back of the disc and they simply screw onto a rubber padded mandrel. We also sell the mandrels.